PNB Scam: Nirav Modi faces an arrest warrant from London's Westminster court. The absconding jeweller would be produced before the bench on March 25. 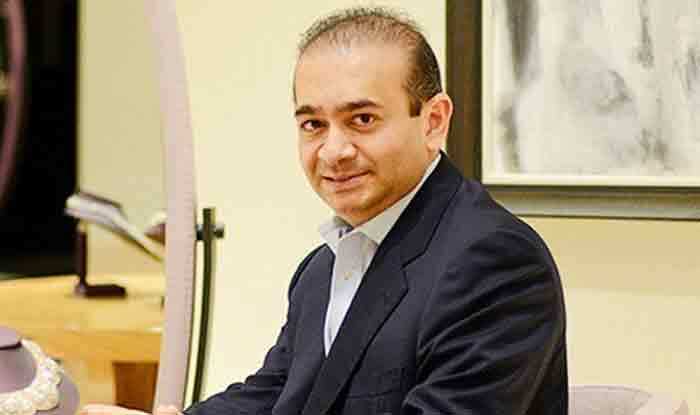 New Delhi: London’s Westminster court on Monday issued an arrest warrant against fugitive diamantaire Nirav Modi, a key accused in the multi-crore Punjab National Bank (PNB) fraud case, who was tracked down in the UK city weeks ago. As per reports, Nirav Modi would be produced before the court on March 25 and he might be arrested in coming days. This development comes days after Nirav Modi was tracked down to London’s West End where he has reportedly begun a new diamond business. According to a video and interview published by The UK Daily Telegraph, the fugitive diamantaire is currently residing in an £8 million flat near Oxford Street, London. Modi started his new diamond business, nearby his luxury apartment, in May 2018. “Nirav Modi appears to have adopted a surprisingly nonchalant attitude to his fugitive status, walking his small dog each day between his apartment and the diamond company’s office in a townhouse in Soho, just a few hundred yards from his Centre Point home,”a report by The Telegraph claimed. The 48-year-old bank fraud fugitive who faces an Interpol red corner notice is currently subject of an extradition request by India. In August 2018, the Indian government had forwarded the requests from the CBI and Enforcement Directorate to the UK authorities seeking the extradition of Nirav Modi. According to a report by the Times of India, top sources revealed that Nirav Modi had allegedly undergone plastic surgery in London in order to escape extradition. The ED and the CBI are investigating Modi, his uncle Mehul Choksi and others for alleged money laundering and corruption to perpetrate the alleged scam in the Brady House branch of PNB in Mumbai, that was unearthed last year. It has also attached his assets worth Rs 1,873.08 crore under the PMLA and has seized assets linked to him and his family worth Rs 489.75 crore.